Long before former First Lady Eleanor Roosevelt died on November 7, 1962, she made it perfectly clear she wished her funeral to be a quiet, no-frills affair. She requested a simple wooden coffin covered with pine boughs and asked that her passing not be announced until her memorial services had already been conducted. This may have been possible for any other 78 year-old widow. 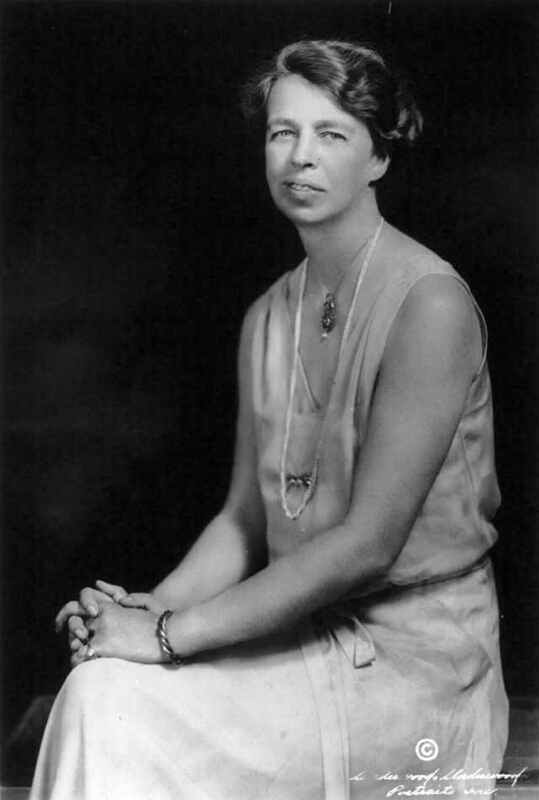 But Eleanor Roosevelt was not only an American national treasure, she was “First Lady of the World,” and a completely private send-off was a bit far-fetched. “I had to tell her that she was being unrealistic,” said her friend William Turner Levy. Eleanor’s wishes were granted in one respect – the guest list for her funeral was small, although decidedly A-list. Three U.S. presidents were in attendance at St. James’ Church in Hyde Park, New York. Also present to pay their respects were the Secretary of State, the Governor of New York, the Chief Justice of the Supreme Court and U.S. Ambassador to the United Nations. Eleanor exercised a bit more control over her end-of-life choices. Mrs. Roosevelt had enjoyed robust good health her entire life, but when she reached 75, she was diagnosed with aplastic anemia. She continued her busy schedule over the next two years while her doctors searched for the cause of her condition. By the summer of 1962, Eleanor was feeling much worse. She was spiking fevers as high as 104 degrees Fahrenheit and required frequent blood transfusions to treat her anemia. She was admitted to the Columbia-Presbyterian Medical Center in New York for a week, yet her symptoms continued unabated. Her doctors wanted to re-admit her to the hospital, but Mrs. Roosevelt refused. Her doctors persisted, and finally Eleanor agreed to go, but on one condition: her primary physician, David Gurewitsch, had to agree to discharge her at her request – regardless of her condition. The doctor, who was also a personal friend, agreed to do so. On October 18th Eleanor was discharged from the hospital, and taken for a ride through her beloved Central Park for the last time. One week later, Dr. Gurewitsch informed Eleanor that she had tuberculosis, in most cases a treatable infection, and told her that her chances of being cured had risen by “5,000 percent.” This news made no difference to Mrs. Roosevelt, who reiterated her wish to remain at home and die peacefully. Her children fully supported her decision. On November 4, she fell into a coma. Three days later on November 7, 1962 Eleanor Roosevelt, an inspiration to millions, died peacefully in her bed, on her own terms.